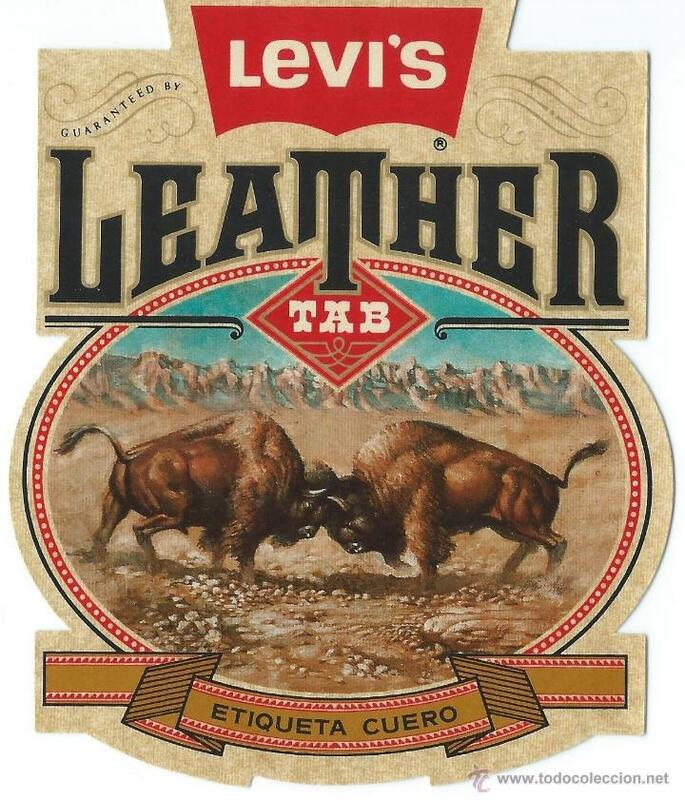 PEGATINA ADHESIVO STICKER ANTIGUA VINTAGE LEVI`S STRAUSS. LEATHER TAB. ETIQUETA CUERO. AÑOS 80-90. Hora oficial TC: 00:38:53 TR: 139 ms.